I have worked with many hosting companies over the past 10 years or so. What have I experienced? Slow sites. Routinely being placed on hold for the “next available agent” for over an hour when I need support. Inexperienced or unhelpful support techs. Websites being “down” for unexplained reasons for unknown lengths of time. Cumbersome admin areas. ETC. So, I was very happy when a hosting company with dedicated services for WordPress websites specifically, finally arrived on the scene with dependable, affordable hosting options for my clients. 7 Reasons Why WPEngine is THE BEST! 1) WP Engine is Fast. A faster site means better SEO and conversion rates. WP Engine makes sure your site is fast & reliable – making you more money. WP Engine is extremely dedicated to your website’s security. Not only do they provide firewalls and malware scanning through Sucuri but there is also DDoS mitigation, real time threat protection, limit login attempts to protect from brute force attacks, and kernel level security along with enterprise-level best practices. In the very unlikely event that your site gets hacked, WP Engine will clean and repair your site for free. 3) There are Multiple Plans to choose from. Enjoy sophisticated WordPress hosting that fits your needs. Whether you are setting up a small business website or a global membership site, WP Engine makes managed WordPress hosting a snap. You can get a significant savings off your first payment by clicking this link. Save 20% off your first payment. If you pay yearly instead of monthly, your 20% discount is much greater. 4) Outrageously Good Customer Support. Can I love a hosting company? Yes. Would I pay extra for exceptional customer support? Yes. WPEngine tech support has saved my clients’ time, money, and heartache. You get what you pay for. WPEngine is worth it! Count on award-winning 24/7 phone, ticket, and chat support, plus video tutorials. WP Engine is the only WordPress host to ever win a gold International Customer Support Stevie award. Migrating a WordPress site from one server to another can be complicated. WPEngine has an easy-to-use plugin that handles the migration with just a few clicks. WPEngine takes daily backups of your site and they remain on the server for 60 days. You have the ability to restore your site to any previous version with the push of a button. 7) SSL is included for Free. HTTPS is now a ranking signal (a minor one), and you may even see a boost in the SERPS (search engine results pages) after implementation. If you are migrating a website to WPEngine, or setting up a new site, the folks at WPEngine help you add the SSL for free. And, it will always be free. This is not an introductory offer that expires in a year. Also, in Google SERPS, your listing’s link will look like this: “https://seowebdesignflagstaff.com”, instead of “seowebdesignflagstaff.com”. These listings are starting to show higher click-through rates, which means people are starting to notice this “trust factor” and are rewarding sites with their clicks. So, remember, Google loves security and even if your site doesn’t NEED https, you might want to install it anyway for the SEO benefits. Click this banner for the lowest price! ** The links on this web page are affiliate links. That means, if you click on any of these links and sign up for their hosting service (which I use for my own websites and HIGHLY recommend), I receive a commission, which helps me buy groceries for my kids, who are always hungry. I would not participate in an affiliate program that I did not in fact use for my own businesses and 100% believe in and trust. 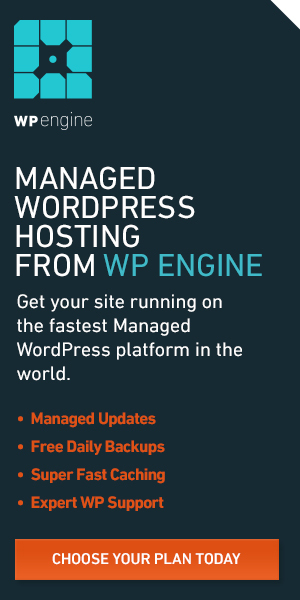 My personal experience with WP Engine has been absolutely wonderful and I would suggest all my clients use this company for WordPress hosting, even if there wasn’t a commission.